The iPhone has revolutionized the enterprise. With the release of iOS 8, you now have features and benefits that make the iPhone an even more powerful tool to enhance productivity and move your company toward a successful and profitable future. iOS 8 features a new feature called Handoff where you can be working on a document on your iPhone and switch seamlessly to the compatible device in the office on the fly. Which means you can be composing an email on the elevator going up to your office, transfer it on the fly to your desktop and send it while sitting down for a cup of coffee. Your work continues as normal and if you have to go out of the office all your work transfers back to your handheld to be worked on outside of the office or back at home where it may be again transferred to a device at home. This makes you independent in your work and you can use devices like printers and fax machines and secured document transfer points within the enterprise that lets your corporation maintain total security of sensitive materials. By setting up an Enterprise wide WIFI system you can take advantage of the costs savings of not having to hardwire every floor and cubical in your building. By setting up a VPN system in conjunction with this, your iPhone now can automatically switch to a VPN to give a secure link that prevents either censorship or information gathering which is running rampant as various government attempt to control the flow of content on the net. When you’re in a foreign country you are often blocked from the very information you need to accomplish your goals and of course you don’t want copies of secure information passing through servers that may allow unauthorized access to your firm’s critical plans about upcoming contracts, products and sales prospects. This could be used to your enterprise’s detriment. Many companies have lost out on potentially lucrative contracts due to this tapping in from either reporter, like in the ongoing scandal in Great Britain over cell phone tapping. Boeing had details of a contract leaked which lost millions to a government subsidized competing vendor, or in the NSA’s debacle during Snowden affair, where a person had too much access to sensitive materials and was able to remove these documents. This can now be a thing of the past. 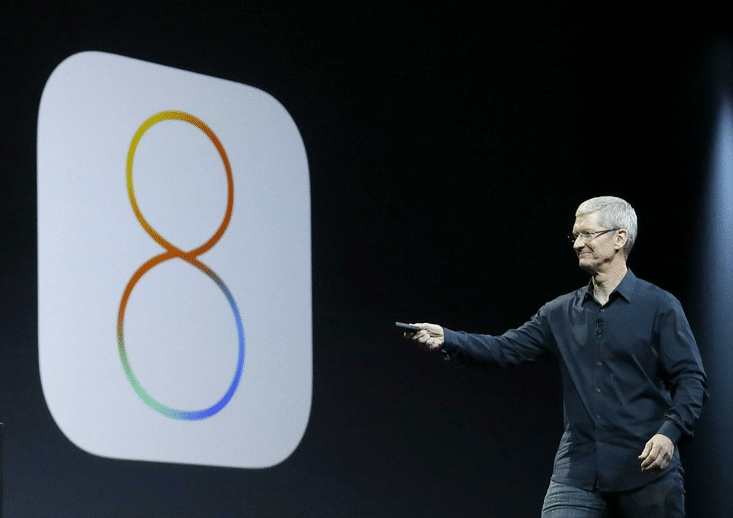 With the use of VPN features and some of the other iOS 8 features, we will talk about next. You can now lock Apps on the fly and you can detect unauthorized access. 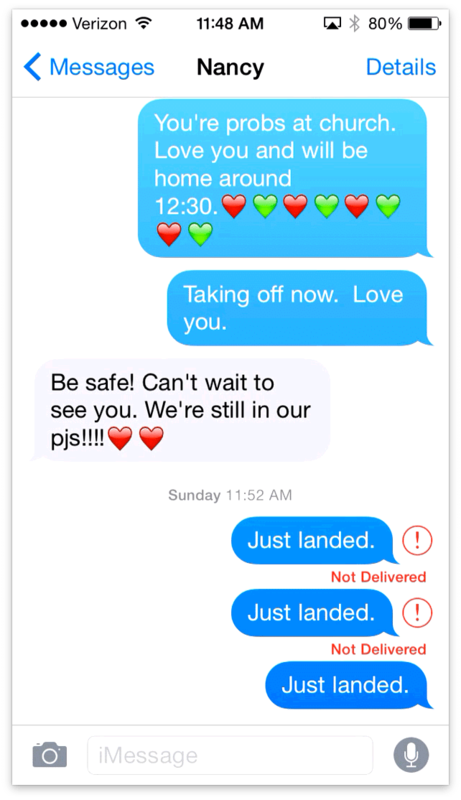 This and much more is now possible through the iOS 8 management system. If a user has a corporate issued iPhone, you control what Apps they can have on it and what features are available to them. This prevents the millions lost every year due to misuse and pilfering of enterprise resources. 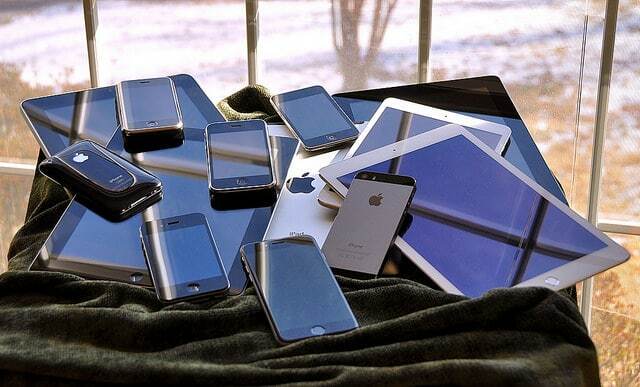 iPhone misuse is ranking right up there with unauthorized email, web surfing and non-job related business conducted on corporate handhelds, tablets, desktops and laptops. Management features found in iOS 8 prevents users from resetting, changing or erasing the apps, content and access to other features, which you may want on your eEnterprise handhelds. You now can better control your company’s data, assets and access to products and services. Now along with VPN and management, you now have iCloud, which makes your corporate data available to your entire corporation and customer base as well. This provides a central repository for all of your intellectual properties and puts it where you have instant access anywhere in the world and the touch of a keystroke or a voice command. You also have total control over who can access this information and restrict it to those who require access and even select which portions are available to be read. Even PDF files have anti copy and non-printing features. The Document access APIs under iOS 8 go much farther than this and provide total enterprise wide access to whatever degree you have decided is appropriate for your Staff, Sales Force and Customers. Your documents can be updated in a variety of ways, using advanced A.I. Voice. The new predictive typing functionality that allows all your data to be updated and quickly changed and deployed to those who need it in a timely and no matter where they are located anywhere in the world. You also control other forms of content sent to your corporate iPhones, not only memo and text messages, But full blown eBooks and Brochures that can be used onsite to illustrate and educate customers and your employees alike. All of this can be controlled from a central point or even one console if your desire. Predictive typing now allows your iPhone to learn your way of working and how you word your documents and in a way “how you think.” With this knowledge over a short time it can finish words or even whole phrases based on your previous work, which it heuristically learns from your writing and speaking patterns. Add to that the new enhanced Voice to text features you may not even have to type in text anymore. Instead, you speak and your words are converted text or to social media content through Siri, your on-board A.I. office assistant, who integrates with all the systems of your iPhone and takes care and control of the mundane as well as advanced multitasking capabilities to enable you to get more done with your iPhone in much less time. Siri can now respond to your voice and perform a wide variety of functions that you want or need, to get your enterprise and your employees working seamlessly. Siri now also learns from your voice and you have visual feedback so you and Siri can become a team that can accomplish the tasks you want done in the way you desire. On top of all this, the new video and voice messaging with a new encryption methodology gives users a secure system to get messages to those who they want and block the unauthorized access to your communications. This stops those who would use the information to gain unfair advantages in contract negotiations, contract content or sensitive information that you both send and receive through your iPhone. iOS8 on your iPhone gives your enterprise the tactical advantages in Productivity enhancement, security and control of content your company needs to succeed in the 21st century business landscape.